Paddy Power is one of the most successful and innovative gaming sites in the UK. Paddy Power Bingo has such amazing promotions, we at Mobile Bingo Bonuses felt we needed to tell you all about them. As with many bingo sites Paddy Power Bingo offer a new player bonus in the form of Paddy’s Lucky Pigeon who dishes out glittery poop on any new players. 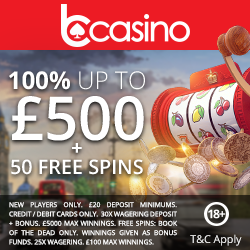 When you’ve registered and deposited £10 within 48 hours they will give you a £40 bonus*, this is so you can try out the site and the games to see how simple and amazing they are. Win Fiat 500 – Again Paddy’s Lucky Pigeon is at it again but this time he has brought ot of activities and prizes. The biggest and best being a lovely new Fiat 500 who will be given to one lucky roomie. To win you simply have to watch the bingo team fill the car with balls and guess how many it took to fill it. Your first guess is complimentary and afterwards every £10 you spend on Paddy Power Bingo will automatically add a number each side of your guess, increasing your chances to win. Fingers crossed for you! Who Wants to Be a Millionaire – is available now in the bingo room and could mean one lucky roomie wins £1,000,000!!! It’s as simple as completing 12 cards which will determine how much you win. Prizes begin at £500 and go up to the whopping £1,000,000! For those of you aware of Millionaire you’ll be aware of the lifeline, well if you buy 6or more tickets you will qualify for a lifeline scratch card. If you match three classic lifeline symbols then lucky you, you’ve won!!!! Beat the Blues Bingo – Every penny counts especially around pay day so ‘Beat the Bingo Blues’ bingo is a great way to make a little money with a share of £120,000 every month. Every Monday there is £20,000 in cash prizes to be won with tickets as little as 4p!! Then the third Thursday of every month in the Gold Room from 6pm Paddy Power is giving away an amazing £30,000!! 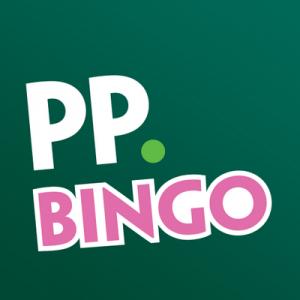 Great Value Bingo – Available on mobile as well as laptop, Paddy Power Bingo has knocked all of their great value promotions into one place to bring 1p and 2p tickets and BOGOF offers daily. If you fancy your chances make sure you check out the schedules and good luck. Roomie of the Week – Each week a roomie will be chosen from the Gold, Diamond, Sapphire, Topaz, Speed Trap, Pick & Mix and Bargain Basement Rooms and crowned Roomie of the Week. As well as winning the coveted title, the Roomie will take away 20,000 Star Points as a thank you for their contribution to chat. Plus many more! So if you fancy playing on the amazing games including Bingo, Slots and Casino at Paddy Power Bingo then simply head on over and good luck. *New Customer Offer Only. Deposit and play £10 on Bingo games within 30 days of joining Paddy Power Bingo. 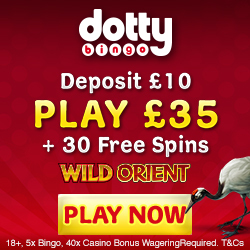 Get £25 paid as Slots Bonus (x20 wagering requirement) and £15 as Bingo bonus (x5 wagering requirement). One per customer. Full T&Cs apply.